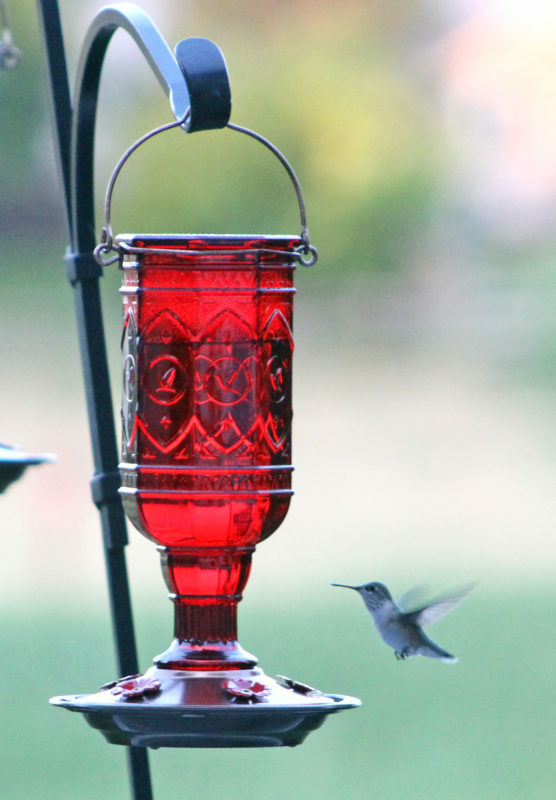 Hummingbirds are nature’s gems, so attract more hummers to bedeck your backyard with a More Birds® Red Jewel 20 oz. 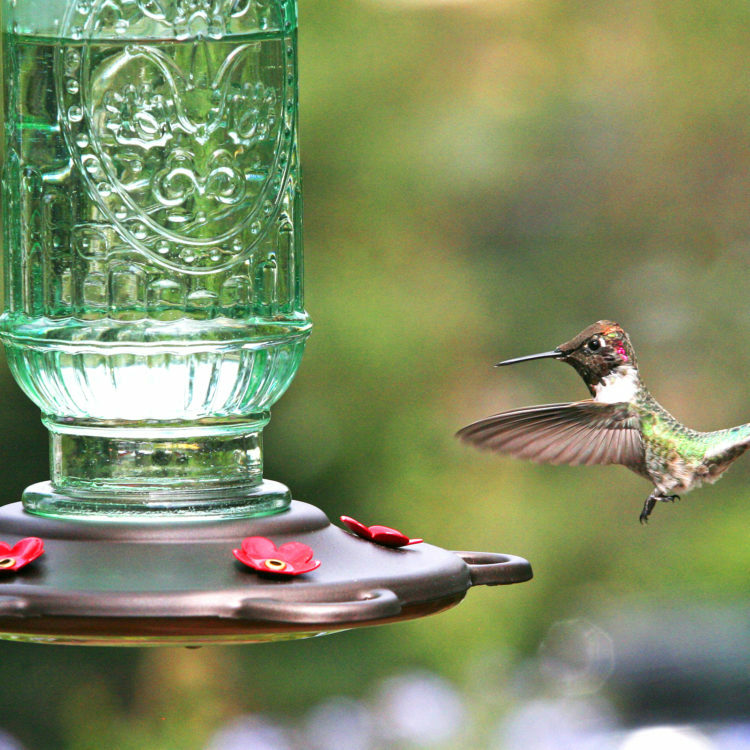 Hummingbird Feeder! 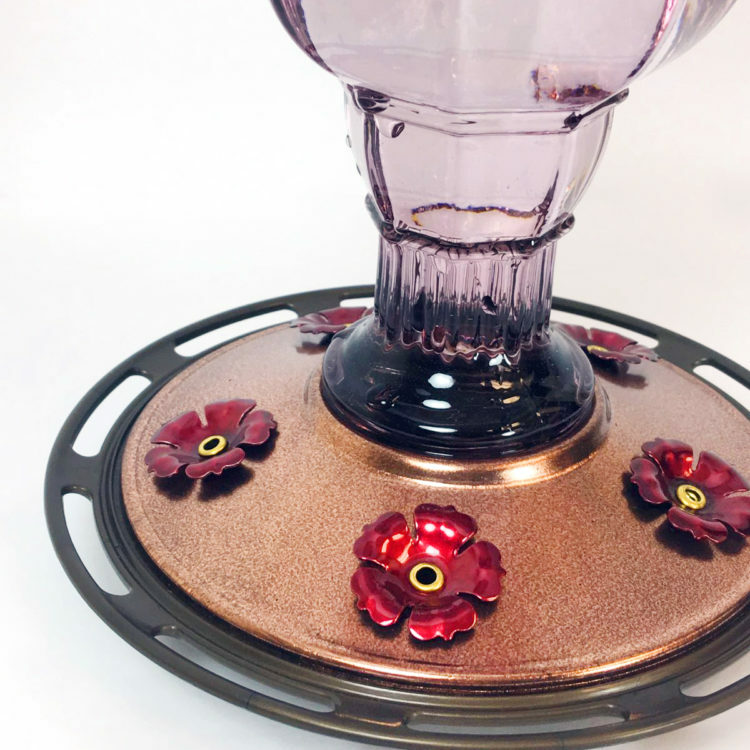 This stunningly red, vintage 8-sided glass bottle design features elegant hummingbird motifs that add a splash of bygone beauty to your backyard. 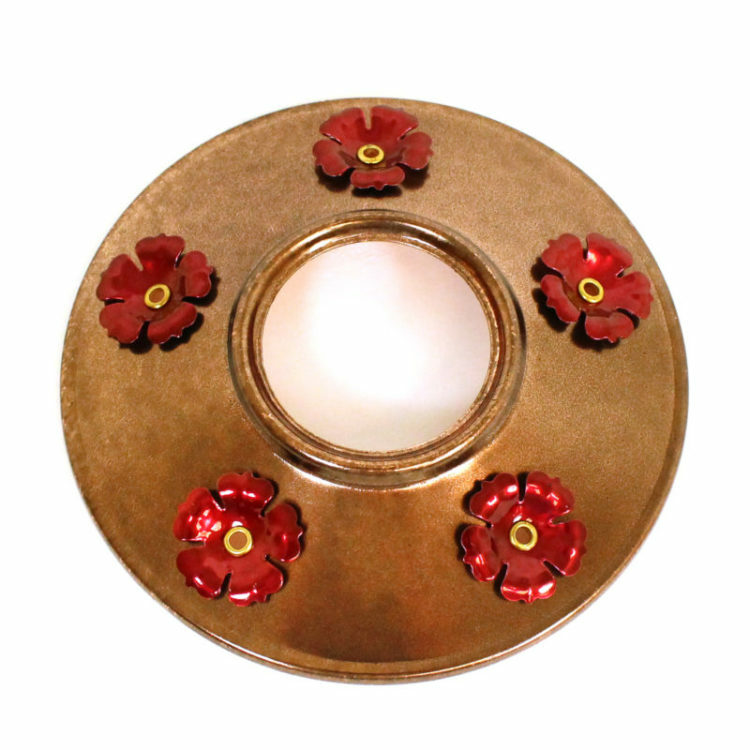 With polished copper accents and wrap-around perching space, the Red Jewel is built with a durable metal basin cap that includes 5 metal flower feeding ports in polished red. Its wide bottleneck opening and detachable flat base make filling easy and cleaning a breeze. With a 20 oz. nectar capacity, the Red Jewel provides plenty of nectar to keep hummingbirds happy and coming back for more! 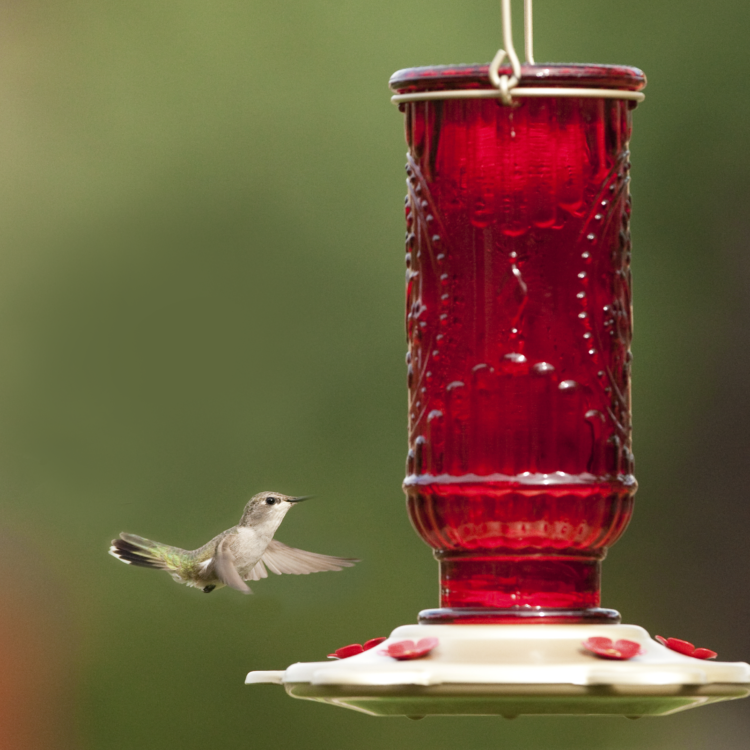 For best results, use More Birds Premium Nectar, which simulates natural nectar found in flowers.